The MicroFab cleanroom is used for a wide range of micro and nano-fabrication projects. 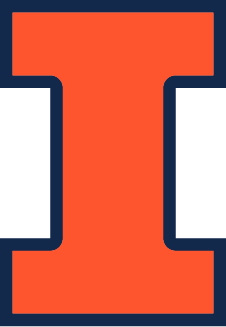 In addition to UIUC researchers, the cleanroom allows outside academic users as well as users from industry. Sample cleaning and developing bay (MRL 384) consisting of solvent fume hood, developer fume hood and microscope. Metal etching bay (MRL 387) consisting of metal etchant fume hood, stamper station aligner, PI vacuum oven, UV flood exposure unit and microscope. Acid etching bay (MRL 359) consisting of HF/BOE fume hood, Nano-strip fume hood, other acids fume hood and microscope. The cleanroom management team is committed to providing an efficient and safe working environment for its users. Users' suggestions and feedback on any aspect of the cleanroom, staff, operation, or equipment are welcome and highly encouraged. Report any incidents to microFab staff (microfabstaff@mrl.illinois.edu) immediately. In case of emergency, evacuate and call 911.